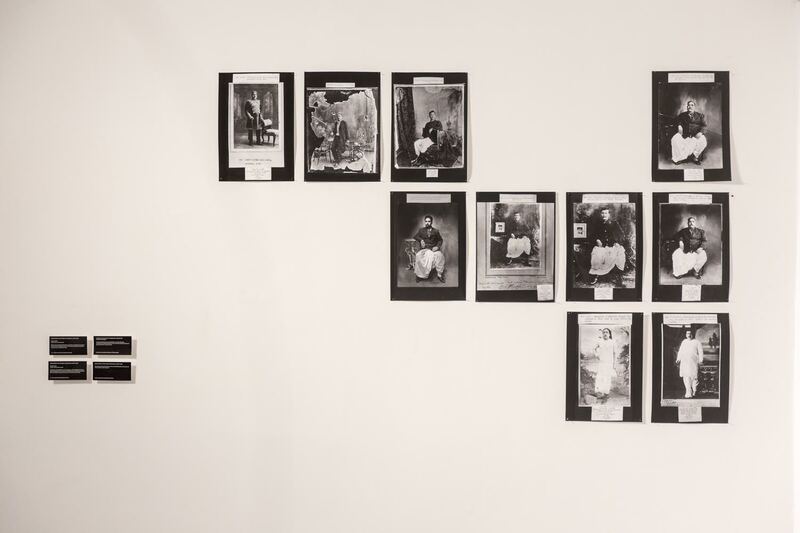 Rehearsing the Witness: The Bhawal Court Case was instigated by an album of about 90 photographs that were used as evidence in the Bhawal court case, currently part of the Alkazi Collection of Photography. The Bhawal case was an extended pre-independence Indian court case about a possible impostor claiming to be the second Kumar of Bhawal, Ramendra Narayan Roy, who was presumed dead a decade earlier. The claim was contested both by the British Court of Wards and by his widow, Bibhabati Devi. The case was on trial from 1930 to 1946. Over the course of sixteen years, the man’s physical attributes, birthmarks, portraits, testimonies and memory were put together as forensic evidence to establish his identity. Hundreds of witnesses, including doctors, photographers, prostitutes, peasants, revenue collectors, tenants, holy men, magistrates, handwriting experts, relatives, soldiers and passersby were deposed. The case went from a lower court in Dhaka to the High Court of Calcutta to the Privy Council in London. 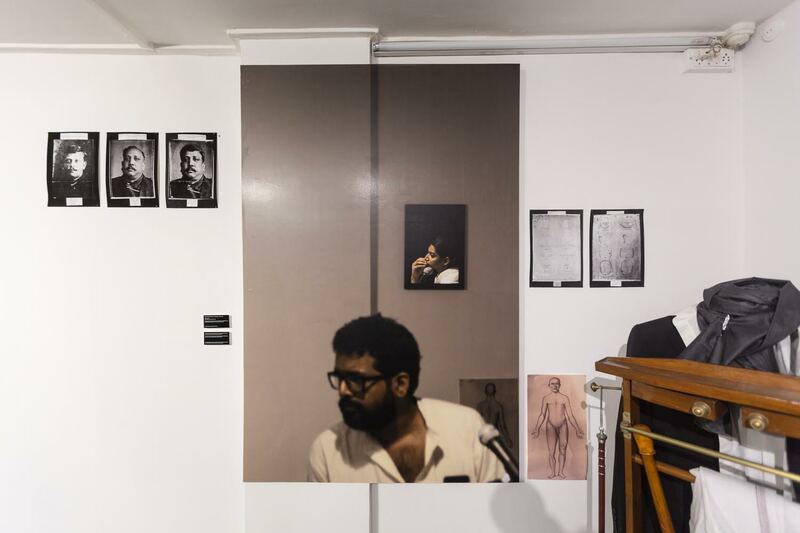 The exhibition comprises select evidence from the trial including testimonies, photographs and drawings and includes documentation of the rehearsals, auditions and re-trial and explores the idea of rehearsal-as-exhibition. 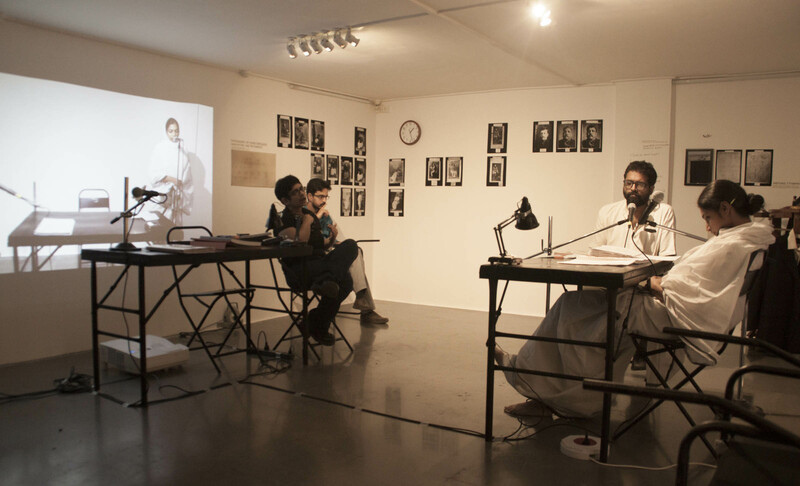 The project uses this trial about a possible impostor to re-examine the enormous archive that the case produced through performance as a method of problematizing the notions of evidence, archive, identity, and most importantly, the question of law as performance; the role of performance in law and the performativity of legal truth-production. Both the domains of the law and theatre/acting frame larger questions to do with the production of truth and reality, assumptions of stable, consistent and believable identities and the construction of credible narratives; how we define who we are and who defines what evidence is. 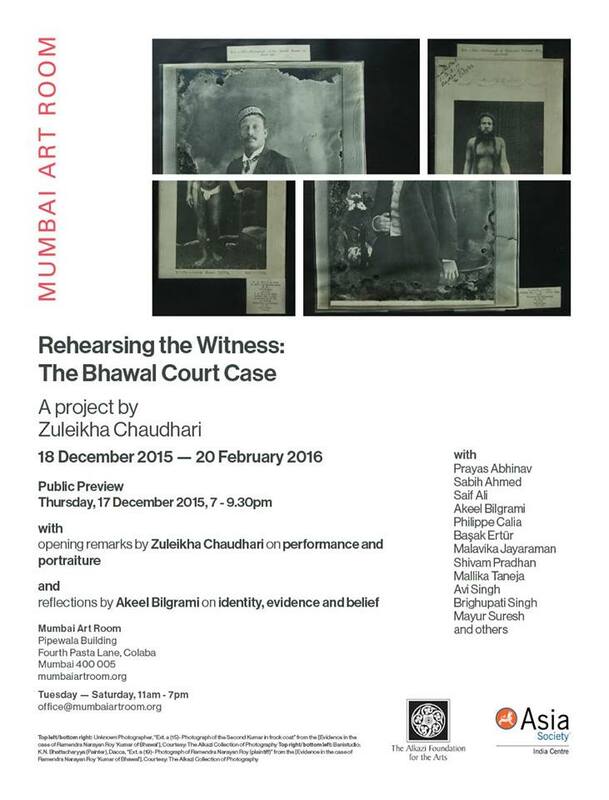 Rehearsing the Witness: The Bhawal Court Case uses original evidence submitted in the trial – photographic portraits of the Kumar restaged by the older plaintiff to establish likeness and witness testimonies as reference material for actors and scripts for a performance. 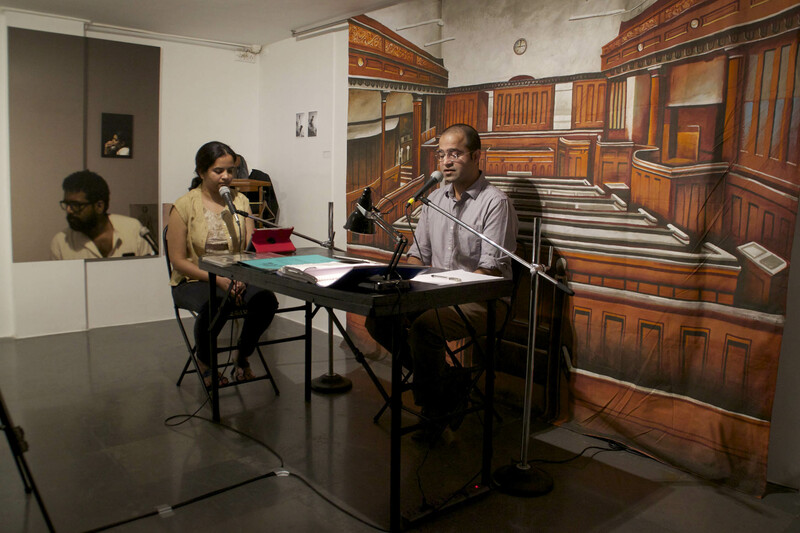 The performance takes the form of a re-enactment comprising two central testimonies of the Bhawal trial, open auditions and a (fictional) retrial. A central focus is on the testimonies of the plaintiff and Bibhabati Debi, the wife of the Second Kumar of Bhawal and the first defendant in the trial. This material bears the burden of proving one’s self, of convincing the court that you are who you say you are and that what you say can be believed. The rehearsal of these two testimonies considers acting as a form of reality production. During a rehearsal, an actor is engaged in the production of a portrait, an image of a self. An actor has been taught how to take on a character or become someone else; they use techniques of changing and adjusting physicality and construction of different emotions and the production of affect to create a believable real. A rehearsal is repetition and in the context of performance, this means constant reproduction in order to represent reality. The project also engages with the idea of the audition. An audition is typically an introduction where an actor has to present a self-portrait as well as his technique and ability to become someone else. The representation is real and staged at the same time. The audition script interlaces the cross-examination of the plaintiff’s testimony with a series of unscripted questions asking auditionees to describe themselves. These questions extend from the generalized questions of name, occupation and place of birth, into questions that bring up the relationship of the self to the law, goodness, and morality. This flux, between the description of the self by way of personal detail, and the description of the self vis-a-vis one’s location in a larger society, creates a layer of performance itself. In the act of answering questions in unscripted real time, the notion of the self and ‘I’ is mediated by the idea of a script reading, in which one inhabits another’s role. These double insertions of ‘I’ and ‘myself’ create a moment of self- reflexivity even as they allow one to think of how the self can be fictionalised. 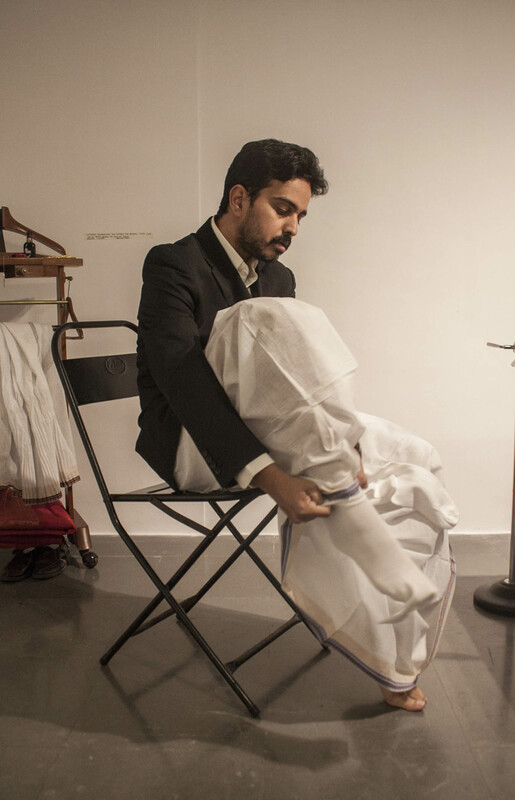 Bhrigupati Singh (Anthropologist) speakS with Zuleikha Chaudhari about asceticism and the reinvention of the self. Mayur Suresh (Lecturer at the School of Oriental and African Studies, London) discusses the parallel universes of the court file. Or, how to take a picture through the looking-glass. Başak Ertür (Lecturer at the School of Oriental and African Studies, London) ruminates on jurisfiction, and the drama and tedium of legal reconstruction. 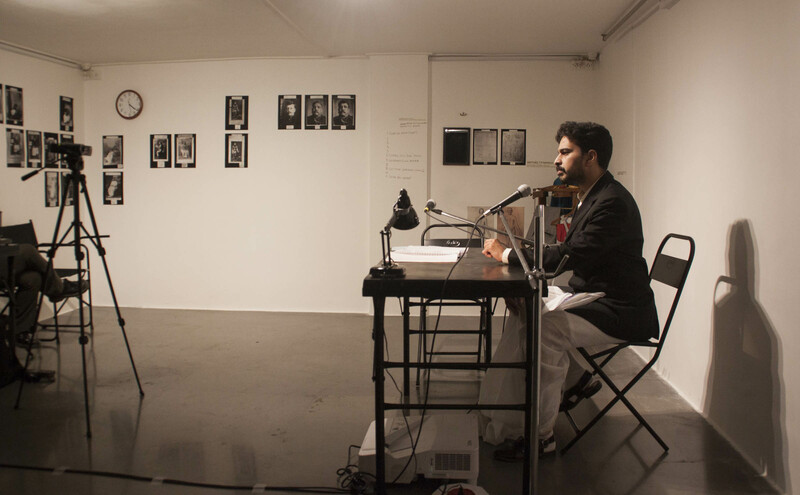 Sabih Ahmed (Senior researcher at Asia Art Archive, and a member of AAA’s Research team since 2009) shares thoughts about the archive’s own performativity, and ask what constitutes the event proper in its staging and re-staging of history. Philippe Calia (Artist and photographer) talks to Zuleikha Chaudhari about the photograph-as-proof, and how visual evidence is not found but produced. Malavika Jayaram (Fellow at the Berkman Center for Internet and Society at Harvard University, working broadly in the areas of privacy, identity, free speech and internet policy) explores the administrative fantasy of biometric technologies, and the implications of the body-as-password for our understanding of the truth about identity. Avi Singh (Lawyer) takes on the question that the original trial set aside: If the sannyasi is in fact the kumar, then who was cremated in Darjeeling? These questions are explored in the form of a fictional (re-)trial where the speakers are the ‘expert witnesses’ offering testimony from their particular vantage points. 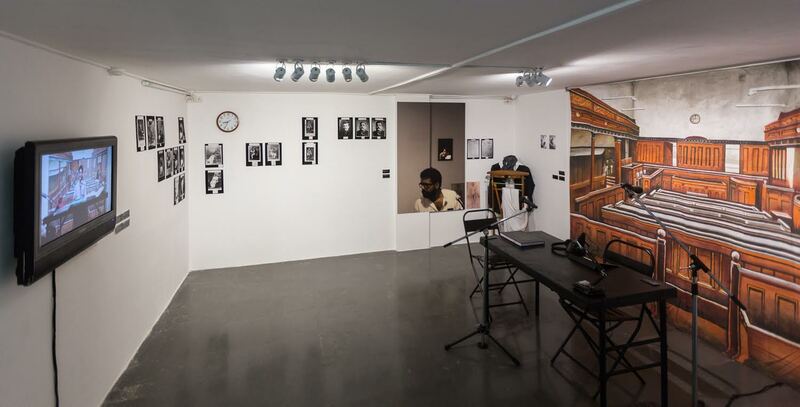 Through the process of re-enactment and retrial, the project investigates the audition and the rehearsal as a space where being oneself and being someone else merge, where telling the truth and faking it become indistinguishable.